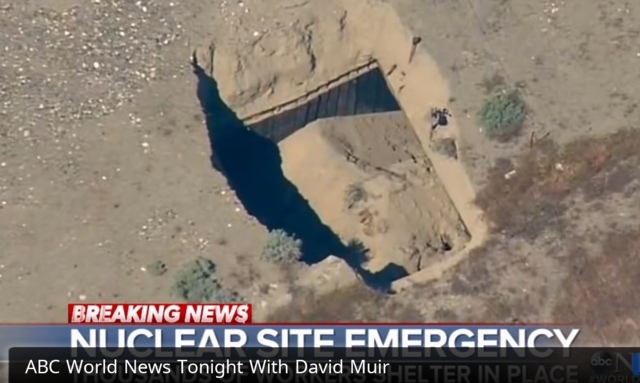 A storage tunnel at the Hanford National Lab collapsed Tuesday. This tunnel was built in the 1950’s and was used to house rail cars carrying radioactive fuel. That fuel would eventually be processed in the PUREX building to extract the plutonium for nuclear weapons. 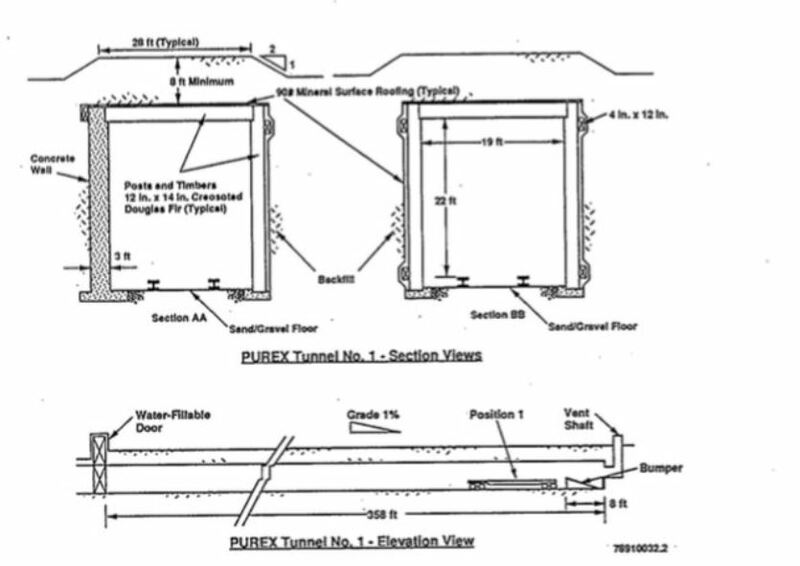 The tunnel was taken out of service in the 1960’s and used to store broken or outdated highly radioactive equipment from the PUREX building. The tunnel collapse happened in a section of tunnel #1 near the junction of two storage tunnels. This raised concerns that not only was the radioactive equipment in tunnel #1 now open to the environment but also what was stored in tunnel #2. Some of the materials in tunnel #2 included pieces that appeared to be reactor parts and end pieces of spent fuel rods. The site was evacuated when the collapse was discovered. Those on site took shelter and were eventually instructed to leave the site. A public tour was also taking place on site at the time. Many working outside do so without any form of protection or masks. It is unclear if anyone was exposed during this incident. No program to specifically test workers for exposure has been mentioned. Later reports showed a robot taking radiation readings near the tunnel and admissions that there was some contamination on site from the incident. 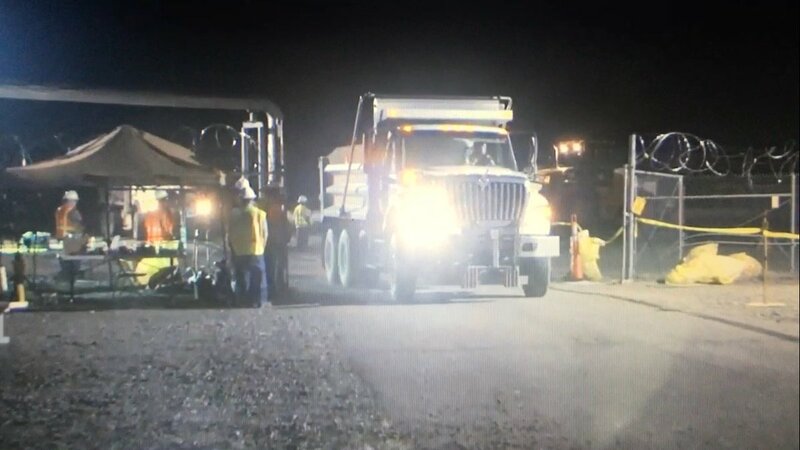 Most workers were told to stay home on the following day as workers put down a gravel road to allow trucks to come in and dump dirt into the hole. 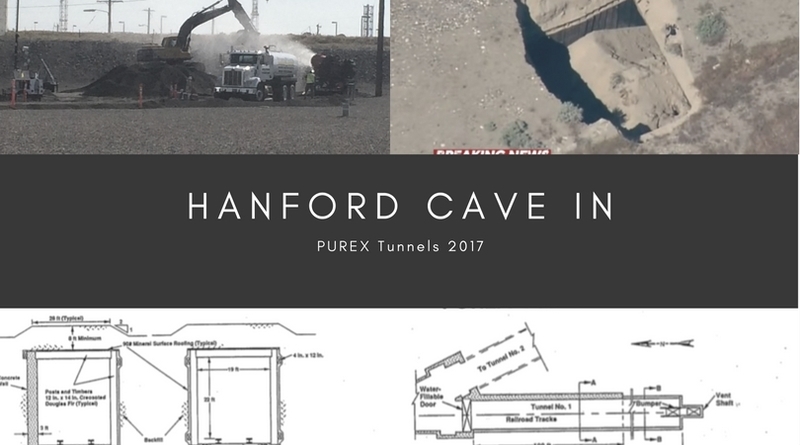 Hanford officials have provided no readings of radiation levels near the tunnel hole. Later reports say 50 dump truck loads of soil will be used to try to fill the hole. Filling the hole with soil may complicate future efforts to remove the rail cars and properly deal with the contaminated equipment. A worst case, they may be unable to safely remove the equipment. The state of Washington has mandated a full investigation into the cause of the collapse and the potential for more tunnel collapses at the site. DOE cited that workers in the area are wearing protective suits and masks. There was no mention of any sort of shielding being used to protect workers near the tunnel. CBC has video showing workers in full gear with respirators working near the hole last night, likely taking radiation readings. DOE video provided on the 10th shows workers including the dump truck drivers and operator of the water spray rig not wearing respirators or protective suits. As of May 10, swing shift workers were told to stay home again tonight. The tunnel is 109 meters long and houses 8 rail cars holding highly radioactive equipment. The bulk of the contaminated equipment are waste concentrators. These were used to separate out remaining uranium and plutonium from nitric acid. The liquid was sent back to be reused in the extraction process while the sludge was sent to the waste processing facilities. These concentrators are radioactive and may contain residues on the equipment. One concentrator was logged as having 40,000 curies of radiation when it was placed in the tunnel. The tunnel was constructed using pine wood timbers on one side and as the roof with only one side wall being concrete. The tunnel was then covered with dirt. The second tunnel built a few years later was constructed with concrete and steel. Tunnel #1 has a dirt floor. This tunnel system has no ground water monitoring system and no method to seal out water. The pine timbers were given a cursory inspection in the 1980’s. Due to the high radiation levels in the tunnels, humans can not go in to visually inspect the area. 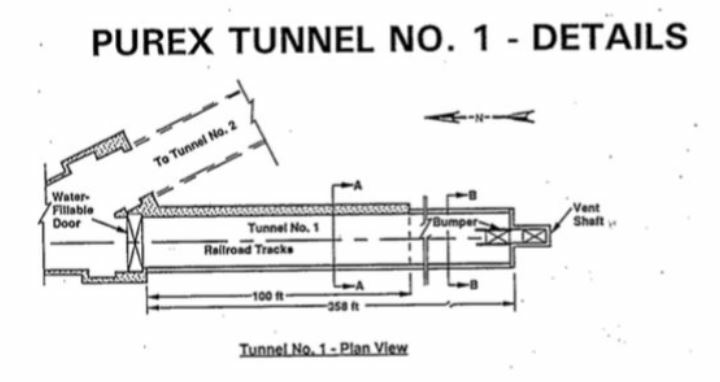 In reviewing related documents from the 1990’s there does not appear to have been any thought given to what would be done if the tunnels collapsed or the potential consequences. Radiation risks from this event would be some contaminated particulate from the tunnel and the soil that fell in and may have dispersed into the wind. Radiation levels near the collapsed section of tunnel may have been significant due to gamma radiation from the equipment inside. DOE has not made any radiation readings public so far. As more is known about this incident we will post updates. Libbe Halevy at Nuclear Hotseat interviews Robert Alvarez former DOE Senior Policy Advisor, and others on the breaking story. Department of Energy at Hanford is posting updates about conditions on site.